As Christmas approaches business in Britain can expect as usual a great increase on physical product sales. Across most industries we can see an increase in sales in this period, and small businesses preparing for the boost as early as July/August. 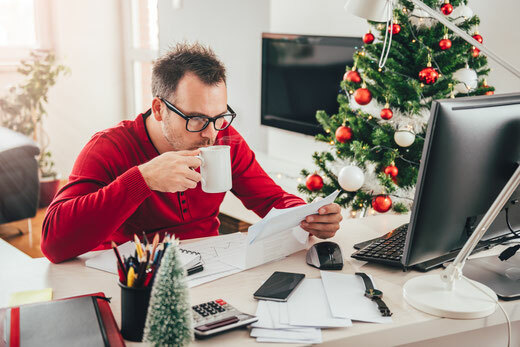 Small businesses can expect more customers in Britain to try and buy their Christmas products online in order to save time and avoid the search. Over the November/December period customers are regularly choosing to forgo the Christmas shopping experience by opting to search online year on year. A study by the OHT shows more consumers plan to buy online over these two days this year, than last year. In Britain the study shows that plans for online purchases during the period rose to 33% of those surveyed, up from 28% a year earlier. The figure for Black Friday 2018 remained 19% - as in 2017; Cyber Monday saw a rise from 4% to 6% in the online purchases' intentions. Here are some hacks for making the most of the online sales boost. - Get in touch with bloggers/journalists/websites about listing any edgy/different Christmas gift ideas you have on their Christmas idea lists. - Make sure you can guarantee a Christmas delivery. State it clearly on your website, and stick to it. - Extending your return policy. Put your customer at ease by making sure they are aware of your extended policy for post Christmas day hang ups about the product. It’s still a gift after all. - If you are selling Christmas gifts, make your store match the seasonal feeling. Customers might not think of you straight away for Christmas but they might end up coming back for ideas later on. - Show you are reducing prices for Christmas. When buying for themselves, customers often pride the actual value of a product over what looks expensive, but isn’t. When it comes to gifting, perceived value is more important that actual value. Looking expensive is therefore more important to customers. By showing big reductions in price, and investing in good quality lights and photos of the design of the packaging and product, in this case is important.